Rather than cutting away further tooth structure to restore a broken down tooth, Biomimetic Dentistry aims to both replace and enhance what has been lost using bio-materials that mimic the aesthetic and bio-mechanic properties of the natural tooth and use adhesive technologies to fuse the tooth and restoration together. This allows the tooth and restoration to act as a single unit, restoring the tooth to its original intact strength and beauty. We are in effect mimicking Nature. 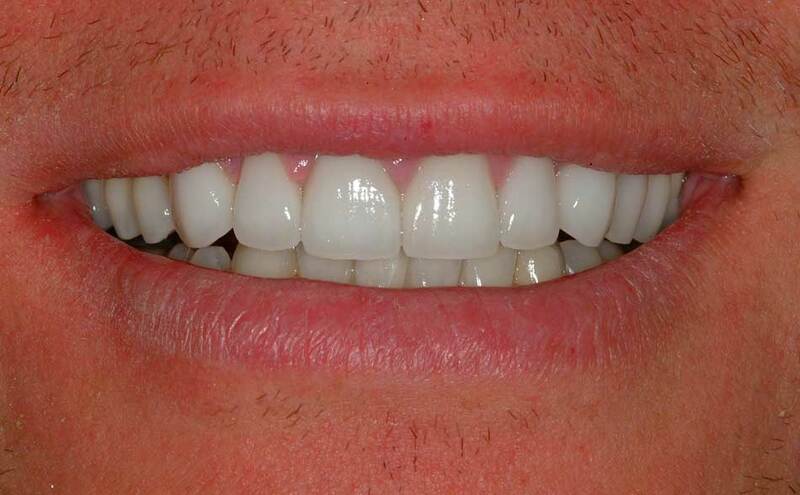 David has rebuilt his worn and eroded front teeth and restored his back teeth with minimally invasive, high strength and highly aesthetic e.max only-veneers. 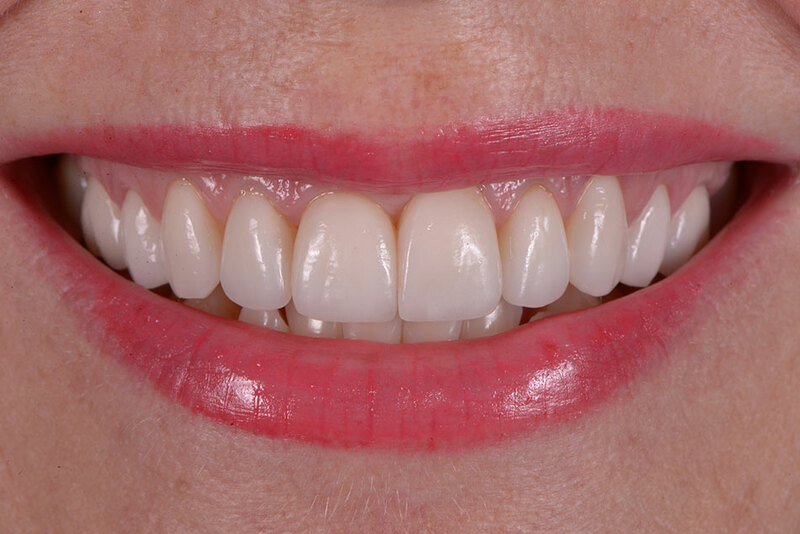 A “Digital Smile” and 3-D mock-up was performed, straightening the teeth and broadening the smile (see second photo). The “trial smile” mock-up revealed that minimal tooth preparation would be necessary to place porcelain veneers on the upper teeth. 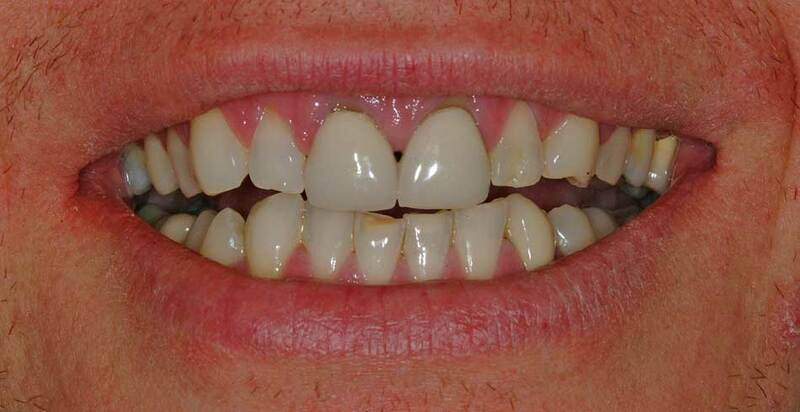 The teeth are prepared relative to the final desired tooth shapes. 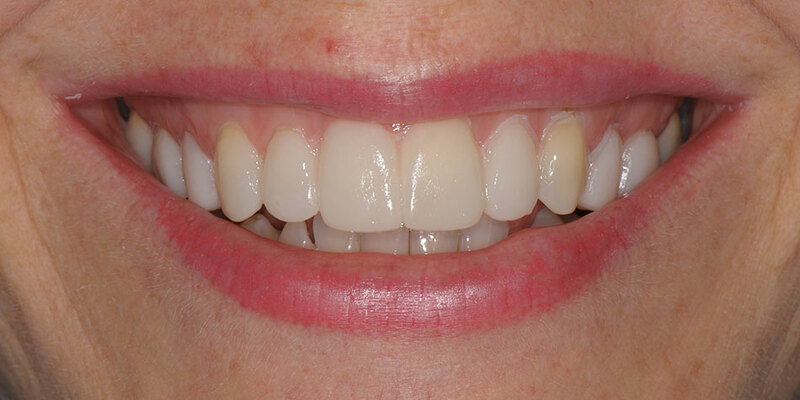 The trial smile ”mock-up” and silicon keys taken from the “mock-up” reveal the tooth lengthening and expansion of the arch necessary to create for Sandra her perfect smile (see middle photos of silicon keys showing final tooth profiles relative to existing tooth profiles). 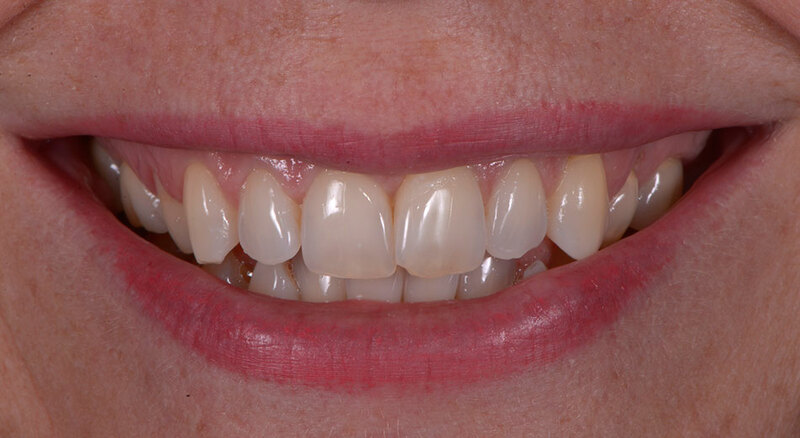 This tooth lengthening and arch expansion creates the room for porcelain transformation of the smile with minimal tooth preparation required and preserving tooth enamel (final photo).